In his second article for The Science of Comfort blog, Mammoth’s Fatigue and Human Performance specialist Dr Jonathan Bloomfield explains why a drastic change in attitude may be necessary for us to get the sleep quality our bodies need. Ok, so it’s now about time we all started taking sleep seriously. Sleep is something we’ve all been doing since our birth and by the time we’ve reached age of 50, we’ll have experienced over 18,000 nights of sleep. Human biology requires us to repeat this act every 24 hours and for a duration that is also unique to each of us. In this context, how can we not consider sleep to be important? By the time we reach the age of 75, we’ll have spent almost 25 complete years fast asleep. While many people may consider this to be wasted time, it is important to respect sleep and not see it as something that is getting in the way of us living life. Sleep should be respected. As a starting point, we need to understand that there are important biological factors behind us entering this recovery state on a daily basis. In reality, we are able to live five times as long without food as we are without sleep. Too many of us probably don’t take our sleep seriously enough. The UK national average for sleep duration has been steadily shortening since the 1960’s and modern lifestyles have encouraged us to ignore the warning signs posed to us by our own biology. Perhaps it’s the fact that sleep is something we’ve done habitually for years that leads to such a relaxed approach to sleep. Because it requires very little conscious thought, we forget how important sleep is all too easily. Perhaps it’s the fact that nothing memorable happens so we view it to be a waste of time and an opportunity lost to be doing something else. Interestingly, human beings are the only species on the planet that have conscious control over when not to sleep. We can decide to stay up late using electric lights and gain stimulation from the Internet or set an early morning alarm to prevent us finishing our sleep period. Taking this into consideration, we also have control over our attitude and behaviours towards our sleep, too. In the recent past, people have been taught from an early age how health risks increase if we eat badly and live sedentary lifestyles. But our sleep education is much rather limited in comparison. Apart from maybe our parents telling us to go to bed early as children (which we rebel against as teens), we never receive any real understanding on the biological processes that occur during the night to help us realise the importance of sleep and the consequences of limiting it. As a human performance specialist, I’m glad to say that things are slowly beginning to change. The disdain that has been shown towards sleep in the late 20th and early 21st century is slowly giving way to a more pragmatic and health-conscious approach to rest and recovery. Interestingly, this has been supported by the emergence of wearable technologies. As new tools help us to assess our sleep quality and the contribution that sleep makes to health and performance, the incentives to pursue better sleep become clearer. Alongside these consumer technologies, scientists are also building up a clearer picture of what good and bad sleep means for our mental and physical state. In particular, neurobiologists have started to unlock the mechanisms that occur in the brain when we sleep and when we are tired. I recall watching a popular TV show during the 2000’s called MTV Cribs where Hollywood celebrities would allow a camera crew into their elaborate and expensive homes. When it came to presenting the master bedroom, the celebrity would always introduce this part of the house by stating “This is where the magic happens!” I didn’t realise at the time that the celebrity was of course referring to the multitude of internal neurobiological events that were taking place under their covers, from memory consolidation and skill learning to cellular maintenance! Indeed, scientists in 2013 uncovered that we have a waste management system called the glymphatic clearance pathway. This pathway comes to life during sleep to essentially bathe the brain, collecting and removing neurotoxic waste. 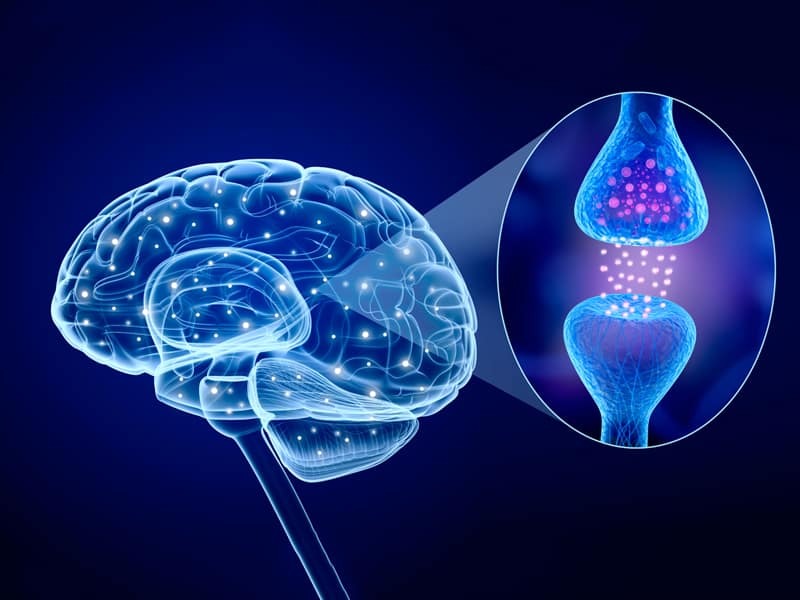 A liquid call cerebrospinal fluid becomes highly activate during periods of sleep (a 60% increase), bringing essential nutrients to the central nervous system. The brain and spinal column is washed in this fluid, which also plays a significant role in hormone regulation. A study in 2015 by the same research team went further still. It was shown that body posture during sleep had an influence on the flow of cerebrospinal fluid in rodents and possibly by sleeping on your side has the most efficient waste removal. Now that scientists have opened the door to understanding how the brain manages its waste, it sheds even more light on the topic of neuro-degenerative disease. Less sleep means less waste removal, leading to a less clean brain and a toxic build-up of waste proteins. As studies continue, we are now seeing strong associations between brain toxicity and diseases such as Alzheimer’s, Huntingdon’s, Parkinson’s and Dementia. We also know that sleep loss has firm connections with increased risks in cancer, heart disease and type-2 diabetes. Bottom line: reducing our sleep quantity and quality = greater health risks. In the near future, I hope that our understanding of sleep deprivation continues to grow and that the public perception comes full circle – much as it has with our understanding of the dangers of smoking. The first step in this process would be for us all to review our own sleeping environments and consider investing in optimal recovery. Our environments should be calm, cool, clear and comfortable, without distraction. Modern bedrooms often double up as entertainment centres, learning zones and online hang-out – all of which are detrimental to sleep. Unlike other European countries, we also put very little thought into the quality of our mattress, pillow and duvet set, usually selecting the cheapest option first. I’m proud to be associated with a quality provider in Mammoth and together we want to help change the nation’s mindset on sleep. After all, your mattress and pillow set will spend more time in contact with your body than any other surface over the course of your lifetime, so it’s worth taking time to make the best possible choice. I would recommend anyone reading this to review the quality of your sleeping surface and consider if you’re compromising your overnight recovery in any way. This entry was posted in All Articles, Dr Jonathan Bloomfield, Expert Advice, Health Professionals, Sleep Science. Bookmark the permalink.